Last Chance: Fans are gathering in Portmeirion next week to celebrate the 50th anniversary of The Prisoner- and there some tickets available! From the press release: "Who are the warders and who are the prisoners? The Prisoner, Patrick McGoohan’s visionary television series, reaches the half century of its first UK transmission in September. In celebration, Network is returning to the place where it all began - the village, aka Portmeirion, to host a one day event for the launch of our new feature-length documentary plus a brand new Blu-ray and DVD edition. This unique day will bring together surviving cast, crew and other special guests alongside screenings of key episodes from brand new 35mm prints, Q&A’s, installations and more. The centre piece will be the world premiere of Chris Rodley's new feature-length documentary In My Mind, followed by a very special 35mm presentation of Arrival at 7.30pm, 50 years to the minute of its UK premiere. At the event ticket-holders will receive a special goodie bag, including the Prisoner 50th Limited Edition ahead of its official release date. 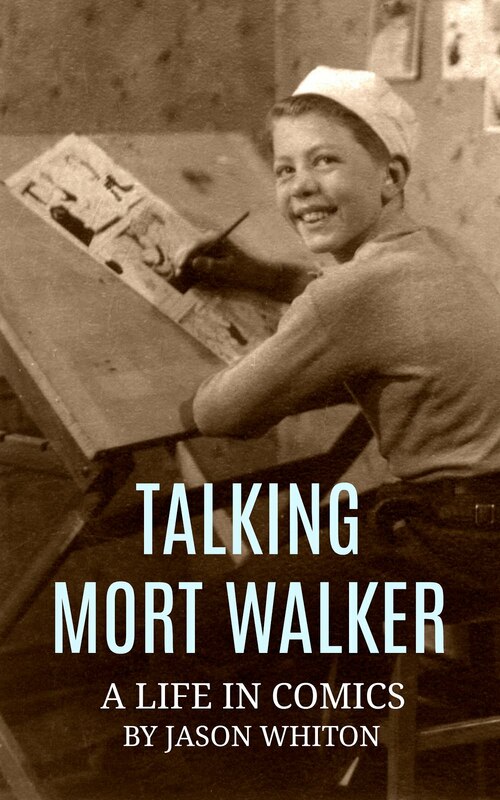 All 17 episodes feature brand new detailed text commentaries and a wealth of newly produced special features, including the documentary feature In My Mind, unseen footage and much more." 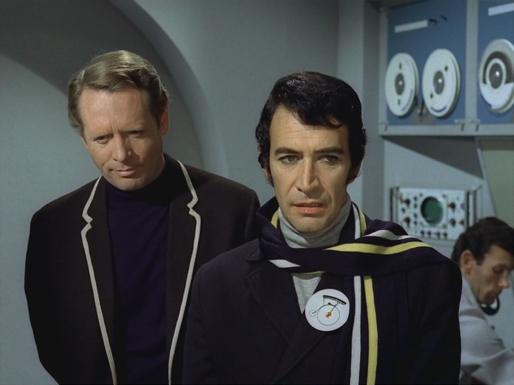 Special guests include: PETER WYNGARDE; "best known as smooth operator Jason King, but the year before his Department S debut, he occupied Number Two’s globe chair in one of The Prisoner’s best-loved and most iconic episodes, Checkmate. We’re very pleased to welcome Mr. Wyngarde back to the village – you’ll be seeing him there on September 29. JANE MERROW is a familiar face from the ITC canon, clocking up appearances in Danger Man, Randall and Hopkirk (Deceased), The Saint, The Baron and UFO in addition to her memorable appearance in The Prisoner episode The Schizoid Man – in which she played one of the few villagers whom we know by name, Alison." More about the 50th anniversary boxset from Network: "This deluxe edition also includes an updated edition of Andrew Pixley’s definitive and highly-regarded book on the series, lavishly illustrated with rare and unpublished photographs and a newly remastered 6-CD soundtrack of the specially composed music scores by Albert Elms, Wilfred Josephs and Robert Farnon, Ron Grainer’s themes and the Chappell music library pieces altogether in one set for the first time." Tickets available at Network. They will likely sell out quickly, so I hope some Spy Vibers can make it! I've been able to visit Portmeirion every summer for the past few years, including some extended stays in the village (Sadly, they always let me leave). I haven't edited the most recent photographs from July, but you can see images from my previous visits at: Portmeirion Photography 1, and Portmeirion Photography. Looking for more 60s spy events? Check out the upcoming Spy-Fi event and exhibit with Danny Biederman in LA. 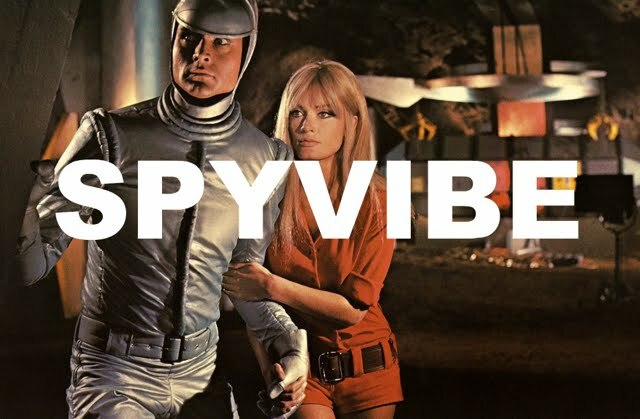 Hey, did you know Spy Vibe recently passed Two Million visitors? That was an exciting milestone! In other news, check out my episodes of the Cocktail Nation radio show, where I introduce classic spy films/TV series and play soundtracks and rare cuts: Episode #1 (Danger Man) and Episode #2 (The 10th Victim), Epsiode #3 (On Her Majesty's Secret Service), Episode #4 (Roger Moore/The Saint), and Episode #5 (The Avengers). Episode #6 (The Prisoner). Coming up next: The Ipcress File. Enjoy! 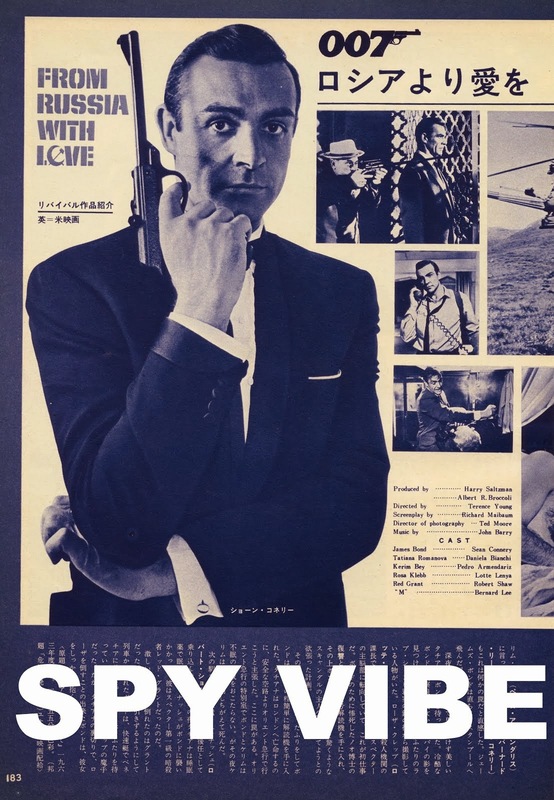 Selected Spy Vibe Posts: Spy-Fi Event, Kaho Aso 007, Two Million, Bo Diddley, Carnaby Pop, Le Carre Events, Billy Bragg Skiffle, Elvis 68, Jack Kirby The Prisoner, Casino Royale Concert, Review: The Prisoner Vol 2, Interview: The Prisoner Essential Guide, Maud Russell Mottisfont, Spy Vibe Radio 4, Batman Gallants, Adam West R.I.P., Village Triangle, Roger Moore R.I.P., Spy Vibe Radio 3, Sgt Pepper 50th, Satanik Kriminal OST, 60s Overdrive, Make Love in London, Spy Vibe Radio 2, Spy Vibe Radio 1, James Bond Strips, Propaganda Mabuse, Interview: Police Surgeon, XTC Avengers, 1966 Pep Spies, Batman Book Interview, Exclusive Fleming Interview, Avengers Comic Strips, Robert Vaughn RIP, UNCLE Fashions, Thunderbirds Are Pop!, Interview:Spy Film Guide, Lost Avengers Found, The Callan File, Mission Impossible 50th, Green Hornet 50th, Star Trek 50th, Portmeirion Photography 1, Filming the Prisoner, Gaiman McGinnins Project, Ian Fleming Grave, Revolver at 50, Karen Romanko Interview, Mod Tales 2, Umbrella Man: Patrick Macnee, New Beatles Film, The Curious Camera, Esterel Fashion 1966, Exclusive Ian Ogilvy Interview, 007 Tribute Covers, The Phantom Avon novels return, Ian Fleming Festival, Argoman Design, Sylvia Anderson R.I.P., Ken Adam R.I.P., George Martin R.I.P., The New Avengers Comics, Trina Robbins Interview, The Phantom at 80, 007 Manga, Avengerworld Book, Diana Rigg Auto Show, The Prisoner Audio Drama Review. Don't forget the other confirmed guests - Annette Andre, Seamus Byrne, Derren Nesbitt, and Norma West! That sounds amazing. I really wish I'd gone! I have to admit I'm a bit gutted they're bringing out another limited edition box set. I went to a lot of trouble to buy the last one! I know what you mean- but I definitely want to see the new documentary (feature-length). For those that didn't buy the giant soundtrack CD box set, the new 50th set will include that, as well. Did I read somewhere they are also releasing an anniversary edition of the blu-ray in the US?